Was the Cold War inevitable? Some scholars believe it could have been avoided. 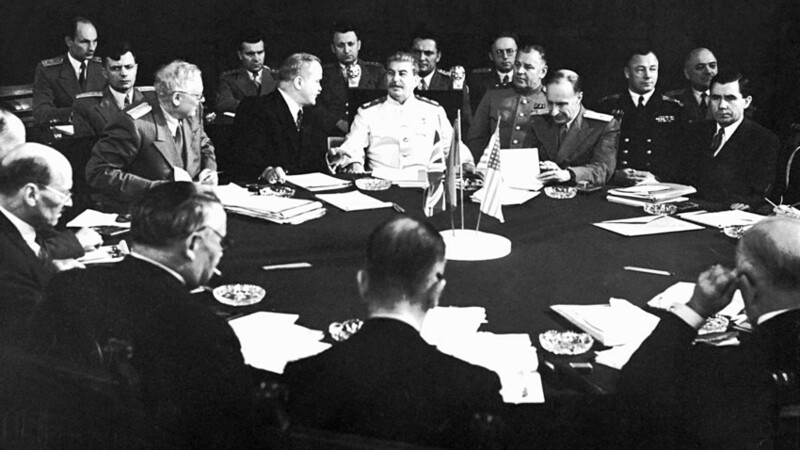 In the late 1940s and early 1950s, the Soviet government considered joining NATO, and Stalin’s successors even endorsed the idea in the mid-1950s. Was it simply a PR move by the Soviet leadership, or was there more to it – a sincere desire to stop the dangerous competition between the great powers and to end the Cold War? The idea of Moscow joining NATO had already been floating in the Soviet capital at the time of the alliance’s creation in 1949. It was boosted by discussions in the British parliament whether it was necessary to invite Moscow to enter the new security organization. Although the Cold War had already started, the memory of the common struggle against Nazi Germany was still alive. In this context, Soviet Foreign Minister Andrey Vyshinsky sent a note to London proposing to talk about the possibility of Moscow joining the security club. The Soviet idea, however, was met with silence. What was in Stalin’s laughter? 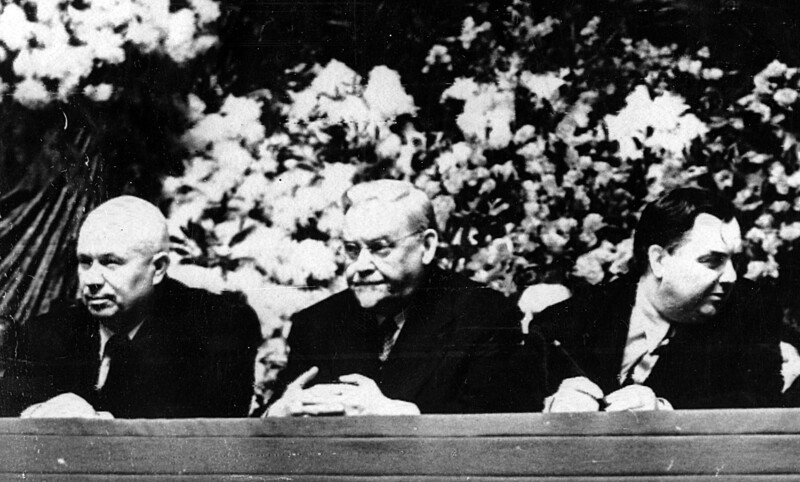 The issue somewhat resurfaced again in 1952 at a meeting between the French ambassador to Moscow, Louis Joxe, and Soviet leader Joseph Stalin. The diplomat explained that according to French leader General de Gaulle, NATO was a peaceful organization whose existence did not contradict the UN Charter. Stalin laughed upon hearing that, and asked whether the USSR should join NATO in that case. According to historian Natalia Egorova, most probably this was only irony on Stalin’s part. However, many scholars tend to read much more into it. Historian Nikolai Kochkin believes that Stalin’s motives were serious, and he substantiates this claim by pointing to the fact that in 1951 the USSR repeatedly stated that Moscow “would join the alliance,” if it was directed against future possible German aggression; (the fate of the divided Germany was the most acute issue in Europe at the time). At the same time, Stalin thought that NATO was “undermining the UN” because the alliance had an “aggressive character” since it was a “closed military alignments of states” amidst the lack of a security arrangement in Europe. That’s why when in 1954 Stalin’s successors -- a triumvirate consisting of Nikita Khrushchev, Georgy Malenkov and Nikolai Bulganin -- renewed the idea of joining the alliance, Moscow put forward some conditions. It defended the principle of sovereignty, arguing that it was not right to meddle in the internal affairs of other countries. Moscow also disliked the American military presence in Europe, aspiring to remove U.S. bases from the continent. The proposal was compounded by another Soviet idea – signing a pan-European treaty on collective security, something that would remotely remind one today of contemporary OSCE security arrangements. 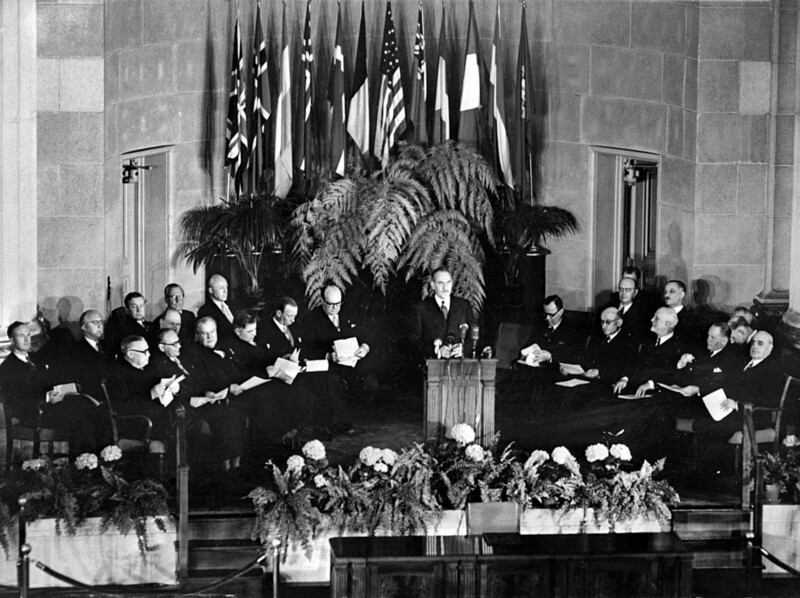 In order to dismiss possible criticism from the West, Moscow further softened its position, inviting the U.S. to join a proposed European treaty. Before it stated that Washington had no business in European affairs. What drove the Soviet leadership to push for a European security treaty and consider possible NATO membership? Moscow’s motives can be inferred from a speech by Soviet Prime Minister Georgy Malenkov on March 12, 1954. He left aside traditional ideological clichés and warned about the threat of an end to human civilization as a result of a third world war that would inevitably be a nuclear conflict. In May 1954, the West rejected Moscow’s proposal, alleging that Soviet membership would be incompatible with NATO’s democratic and defensive aims. The idea of the treaty was not welcomed either. The scholar laments that the West did come up with “a more flexible response” to Soviet proposals. If you are interested in Russia-NATO relations, you can read about the subject here.